Everything you need to know about Summer at Camp Asbury! In the summer Camp Asbury operates a coed resident and day camp for grades 1-12. (The resident camp program is larger than the day camp). Camp Asbury is located near Hiram, Ohio, within an hour’s drive time of Akron, Cleveland and Youngstown. The camp is comprised of 450 acres of forests, fields, and wetlands. A small group counselor position at Camp Asbury is a residential position, which includes meals and lodging. 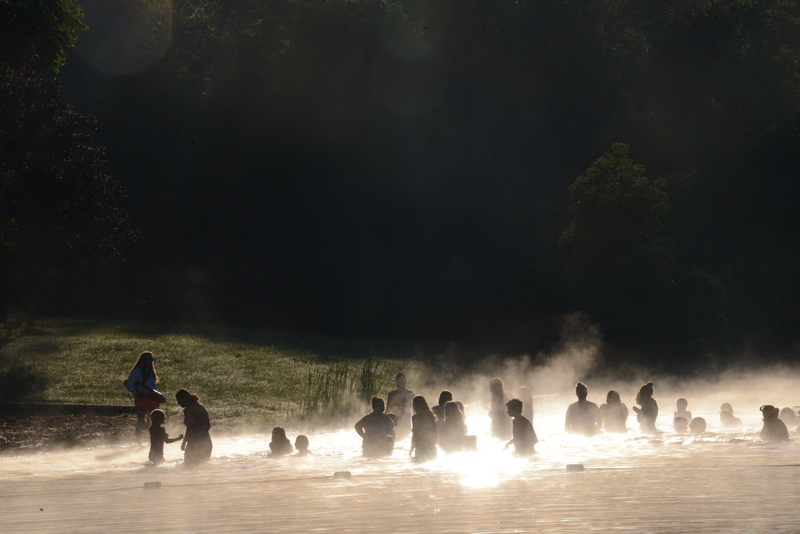 Counselors stay at camp for approximately 8 ½ weeks of the summer. Required availability for staff is June 4- July 28, 2019. Required staff training is June 4-14, 2019 followed by 6 one-week sessions of camp. A staff closing weekend, July 26-28, caps off the summer. Camp Asbury is a church-related program operated as a ministry of the United Methodist Church. Camp Asbury is open to people of all Christian communions and to people who identify with no local church home. Camp Asbury’s primary mission is to help people grow as followers of Christ. Camp Asbury provides a safe environment to talk about matters of faith. Counselors help lead a daily small group Bible study based on a curriculum theme. Grace is said before each meal. Camp counselors also help lead camp-wide evening worship activities that give context to each week—Sunday opening campfire, Tuesday evening vespers, Thursday evening Communion, and Friday closing. All counselors participate in a staff worship hour on Sunday mornings at 11:00 AM that focuses the staff community on ministry for the week ahead. In matters of faith, Camp Asbury gives people room to be who they are and live their authentic identity. 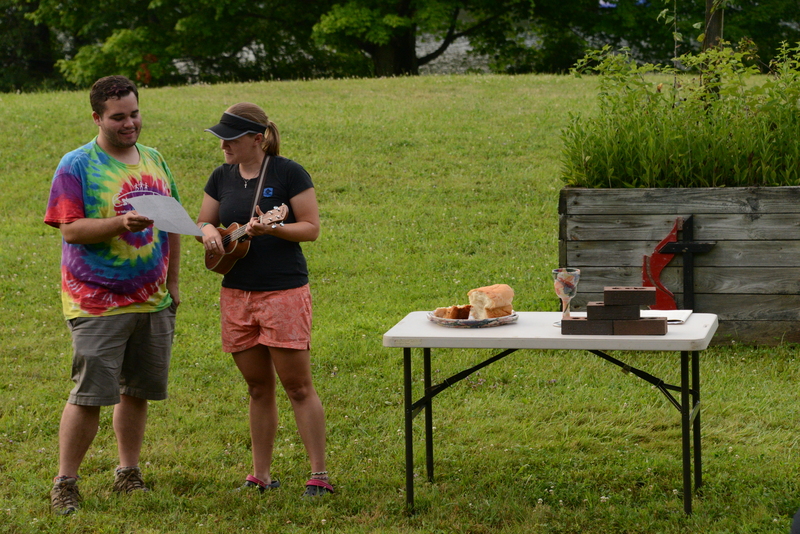 Camp Asbury does not insist that there is just one way to be a Christian. Camp Asbury is organized around a small group model. Campers are grouped by age into living units of 6-12 campers. Each living unit has two counselors. Campers experience all the activities of the week as a small group. Together with a co-counselor, small group counselors provide 24-hour supervision and guidance of the campers in their living group. Counselors function as role models, teachers, encouragers and creative program guides. Counselors help kids grow in independence by leading campers through the day, setting behavioral boundaries, waking campers in the mo rning, settling campers at bedtime, working through homesickness, building community and resolving any conflict between campers. 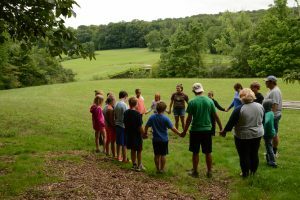 Counselors partake in a variety of activities with their campers, such as archery, canoeing, the mudslide, swimming, hiking, music, art, nature sessions, cookouts, low and high ropes, the giant swing, and wagon rides. Above all, counselors make camp a fun and exciting environment that campers will want to return to summer after summer. Camp requires good physical condition. Counselors often walk several miles per day over uneven terrain. Counselors work outdoors, rain or shine, for extended periods of time. Counselors live with their camper group in seasonal cabins. Modern bathrooms are located in central retreat facilities. A few week-long programs involve primitive camping in tents without access to electricity. Staff assigned to primitive camp will receive special training. Resident counselors may be assigned day camp for one or two weeks of the summer. Day camp counselors receive evening leadership assignments. Camp Asbury emphasizes interpersonal communication—the original wireless communications. Camp Asbury operates an electronics- free program. Campers possess no electronic devices during their week at camp. Counselors on duty can carry cell phones but must limit use to emergency communication. Phones must be kept out of sight of campers. Most of the week is spent without access to the internet. Possession of alcohol, drugs, and tobacco is prohibited. Counselors receive a weekly day off, from 8 PM Friday evening—11 AM Sunday morning. Counselors are free to stay at camp or depart from camp during their time off. Counselors usually receive an hour break most days of the week. 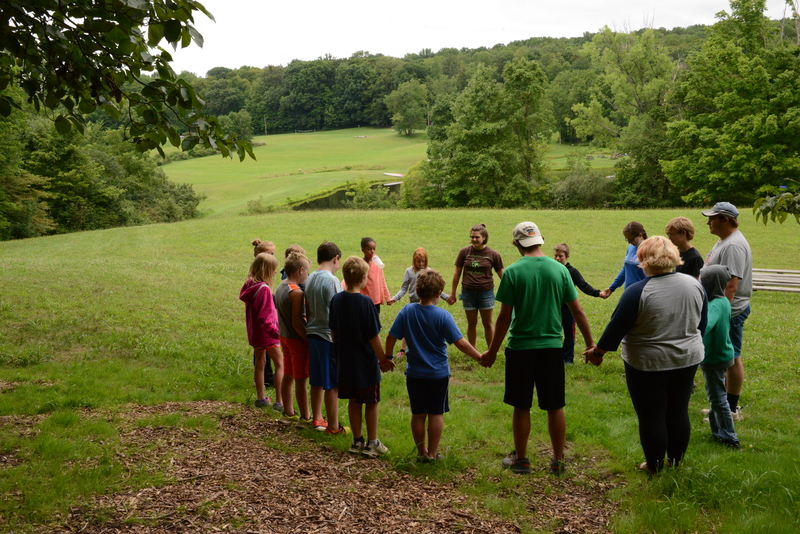 Camp Asbury exists to help people grow and enrich foundational and enduring relationships that steer people’s lives. These relationships include connections with others, with God, with the natural world and with self.